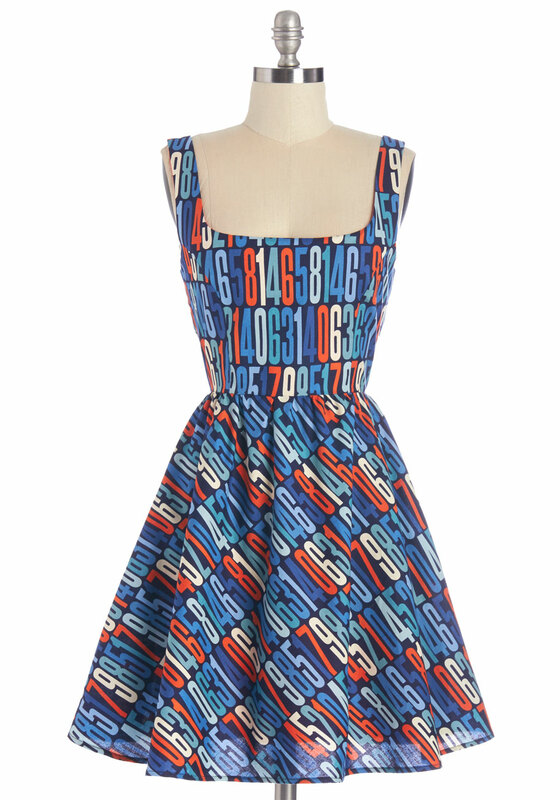 What do you call an adorable dress featuring numbers in its design? Obviously: The Sum of Adorable! You can get this dress for $79 on ModCloth. I still have never ordered something from ModCloth, mainly cause I know how tricky it is for me to get stuff to fit right and I just can’t help but think ordering clothes online is still too much hassle. Anyone else have any experience with ModCloth so far?